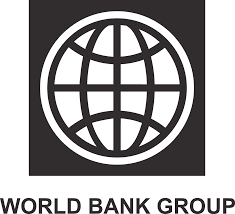 The World Bank is seeking an application for the post of Lead Agriculture Economist at Nairobi, Kenya. The Lead Agriculture Economist work with the Program Leader(s) to identify opportunities to address agricultural issues in the CSD, CAS, country dialogue, CEMs, and multi-sectoral operations. The candidate will be responsible to lead complex operations as TTL, both in agriculture and multi-sectoral operations, assuring good quality in all stages of the project cycle and serve as a senior advisor to colleagues who are themselves TTLs of demanding operations, providing them with mentoring, advice and support. The candidate should have a high degree of discretion, ethics, tact and sensitivity in handling confidential and sensitive information with multiregional experience and demonstrated ability to integrate cross-sectoral approaches to achieve sustainable results. Posted on January 14, 2015, in Africa, Career, Gender, Women, Girls, Opportunities and tagged Lead Agriculture Economist, Lead Agriculture Economist at World Bank, Lead Agriculture Economist at World Bank Nairobi Kenya. Bookmark the permalink. Leave a comment.